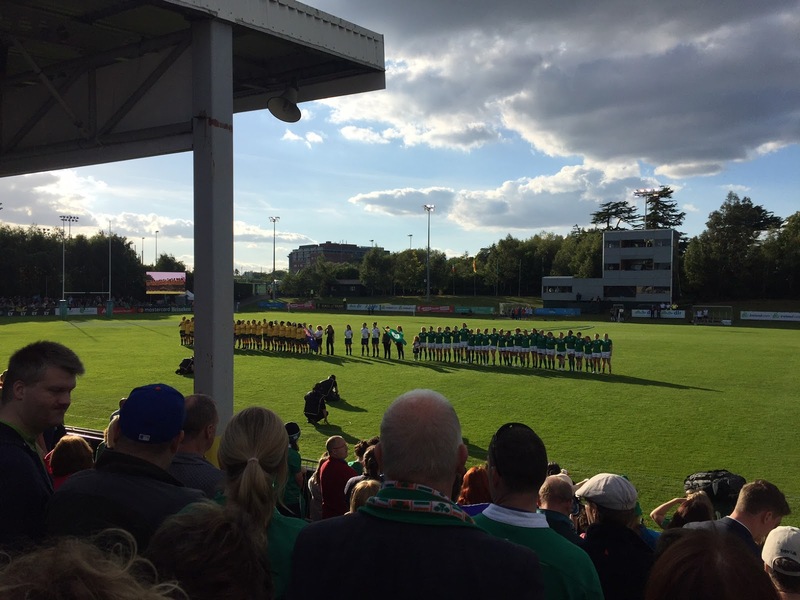 From the bottom of the ruck: Ireland beat Australia, and I can't recommend strongly enough you get down to UCD! 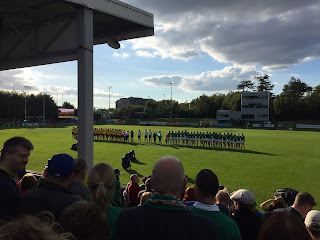 Ireland beat Australia, and I can't recommend strongly enough you get down to UCD! What a fantastic night in UCD yesterday! I went down with a ticket to the France/Japan match at the Billings Stadium, early because I was hoping to pick a ticket to the Ireland/Australia match. And I did! So just because the matches are sold out, it doesn't mean you shouldn't chance your arm, I'd say you'd have a good chance of getting in. There's a great fanzone down there, you can soak up the atmosphere at the beautiful UCD campus, plenty of players from all the countries milling around, and a great great buzz! As for the match itself, as the players came on it was apparent that the Australian women were a lot bigger - our players looked a lot more athletic, and fit. I kind of figured we would outlast them and win, and, after making us sweat, that's exactly what they did. Australia put up some performance though, there is no emphasis on the 15 game there, they've played on 4-5 times since the last World Cup and it shows, they had good backs and big forwards, but only an ok scrum and a poor lineout. Mahalia Murphy took an impressive try, and if they played more often, that could be a really good team. Speaking of good teams...that's Ireland! Their set pieces are excellent, their defense is really organised, and brave too, it took a lot to bring down those big Aussie girls. They are like tigers in defense and attack, hurling themselves into contact with scant regard for personal safety. It was a fantastic experience to watch the match, you're right up close to the action, and you can see the players feeding off the energy of the crowd. Get down there, you're missing out! Great, great team performance, with Marie Louise Reilly just owning the line out, but working hard with tackling and carrying too, Jenny Murphy putting in the hits in midfield, Larissa Muldoon marshalling the troops efficiently, and Alison Miller a real threat out wide. For me thought the real performers were the grafters, Lindsay Peat and Claire Molloy, making ground in contact where they had no right, and get up, tackle, get up tackle, and repeat!